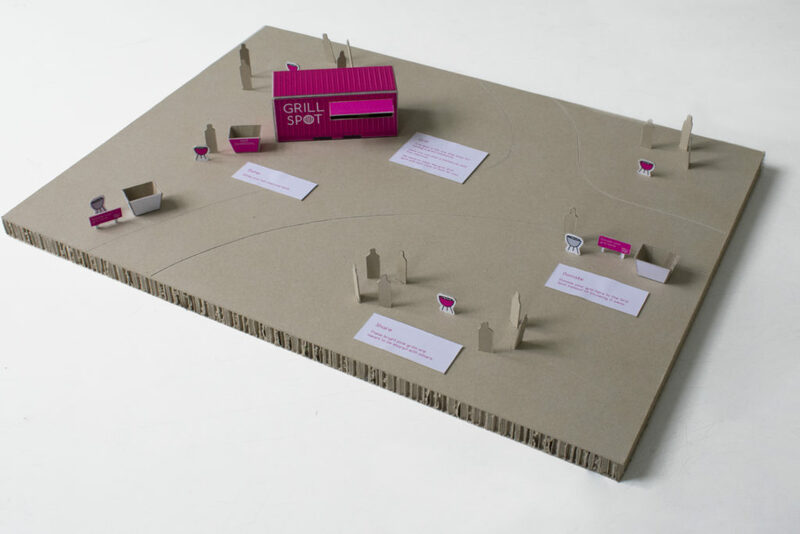 GRILL SPOT – final concept – REGENERATE ! Grill Spot is the one stop shop for having a great barbecue. 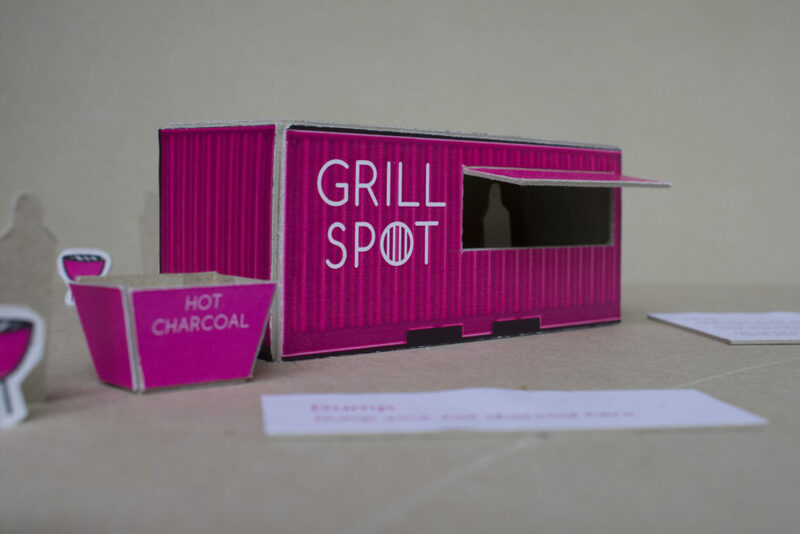 Grill Spot is constructed from a standard shipping container so that the grills and charcoal are protected from weather and can be easily locked up at night. These shipping containers are already being used for small kiosks in parks throughout Berlin. 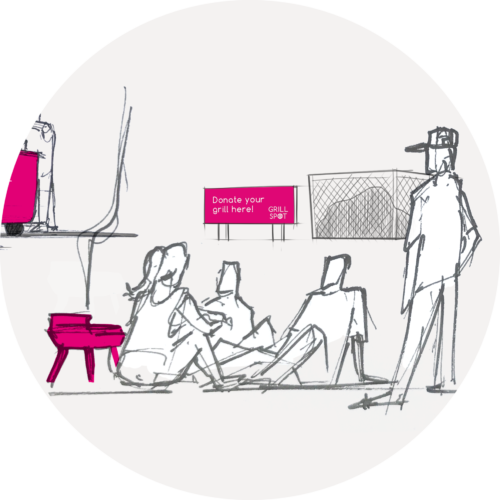 With this service, Berliners can meet their friends at the park for a barbecue and all they have to bring is the food they want to eat. When you arrive in the park you will find the Grill Spot in the centre of the barbecue area. 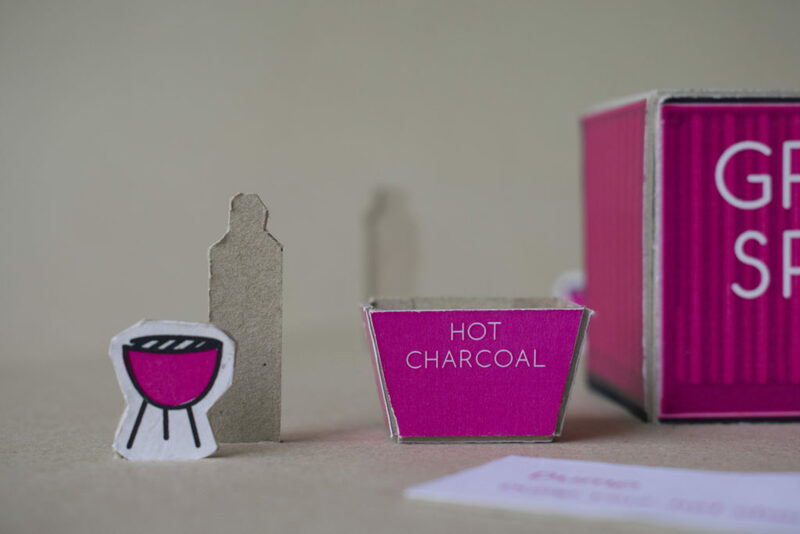 Here you can loan a barbecue and buy charcoal. 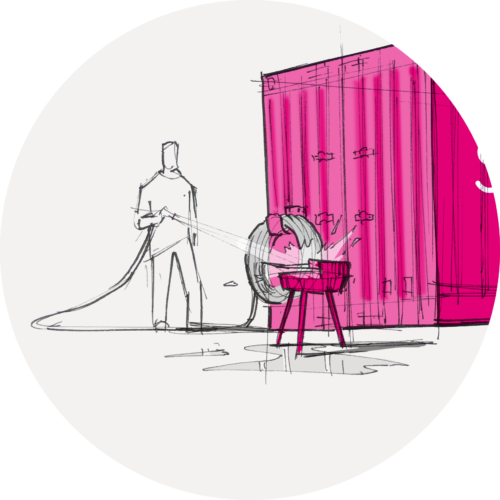 The bright pink color of the grills indicates that they are to be shared with others when all of the grills from the Grill Spot are in use. Opening up the barbecue group through sharing a grill encourages forming new relationships. 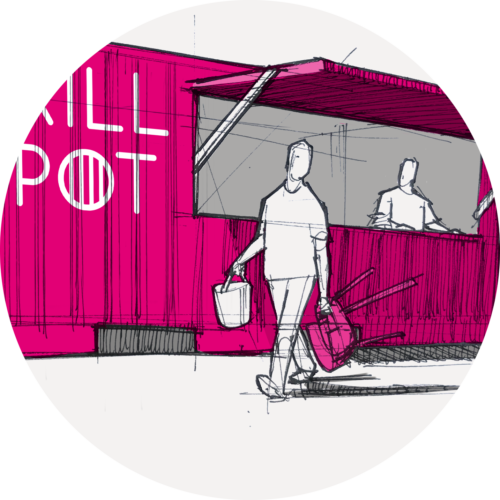 The Grill Spot system includes a metal bin specifically for disposing hot charcoal. This helps reduce the risk of fire outbreak. No need to clean the grill, Grill Spot will take care of that for you! Park goers can donate a grill to the Grill Spot instead of throwing it away when it’s no longer needed. Grill Spot will collect it and paint it . This way, other people can continue to use the grill again and again. This could be implemented in Tempelhofer Feld, a park in Berlin that the city is already investing in as a public amenity. This system creates a grilling experience that will attract more visitors to the park. 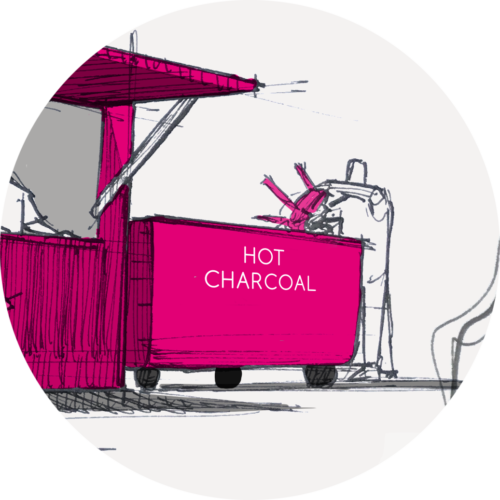 The charcoal vending machine will help generate money for the project. 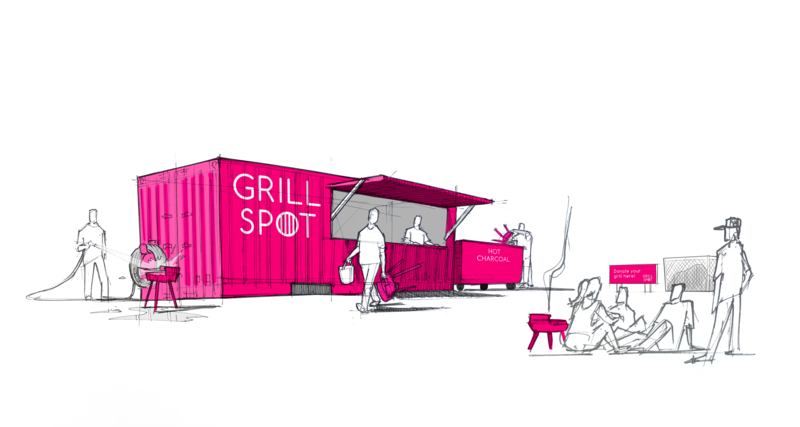 Grill Spot could employ people from social integration programs or pension volunteers. This system could also be part of a sponsored partnership with a food or drink company (Fritz Cola, Lemon Aid or Berliner Bier for example).